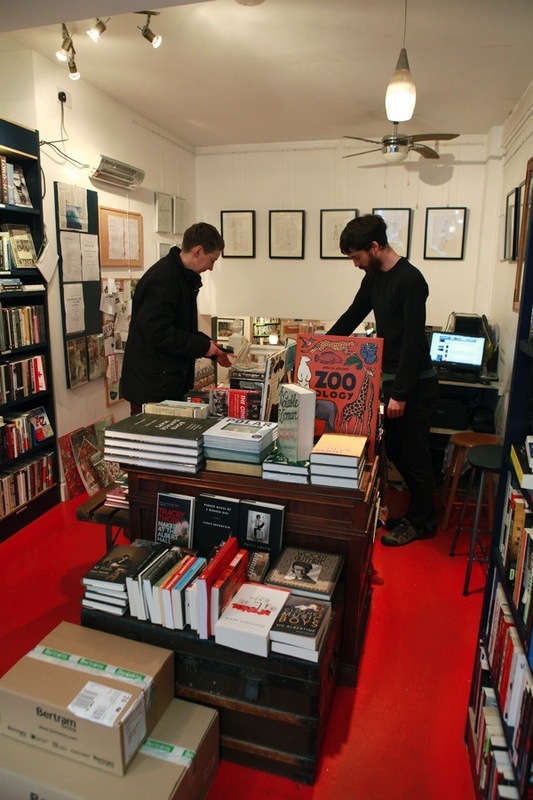 Broadway Bookshop in Hackney celebrates ten years trading this week and continues to thrive, in contradiction of the commonly-held belief that the imminent death of all bookshops is at hand. As author and publisher, I have come to cherish independent bookshops such as this one and so I went along to meet proprietor Jane Howe in the hope of learning the secret of success in bookselling. 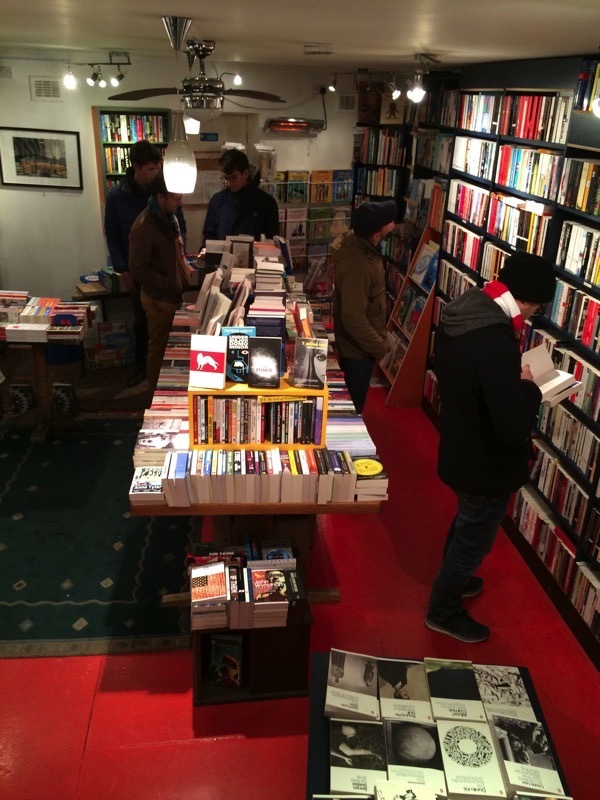 Although it has a modest frontage, Broadway Bookshop is like a warren inside, opening out as you pass through the narrow passage past the cash desk and descend the staircase into the huge burrow lined with books. The clamour of Broadway Market recedes and you find yourself as if in a private library where an atmosphere of literary calm prevails. Yet beyond this chamber lies another secret space, where only initiates are admitted. A tiny cavern beneath the street, stacked with boxes of books concealed behind a discreet green curtain, where Jane sits at her desk. I was fascinated to learn of the women booksellers in West London who had inspired Jane and I realised that she is one of a trio of remarkable women booksellers who run bookshops in East London today – Denise Jones at Brick Lane Books, Vivian Archer at Newham Books & Jane Howe at Broadway Bookshop. ‘I first started to become a bookseller at Dillons, High St Kensington after I left University College London. You had to wear a plastic apron and a badge and you weren’t allowed to look at the books, only dust them – you didn’t open them. I had also been doing proof reading for publishers but I can’t spell so it was ridiculous. Then I went to work for Mary Mackintosh at Elgin Books in Portobello. She was an American woman in her sixties and her shop was nicely furnished with lovely carpets and furniture and fresh flowers. She was my inspiration. She had this welcoming manner which all the customers loved. She used to let me do the window display which changed every week and she gave me free rein and I loved it. There was always a theme but I didn’t tell her what it was, she had to guess it – sometimes it was that all the books were the same subject and sometimes it was simply that the covers were all the same colour. As Notting Hill changed, the annual rent went from seventeen thousand to thirty-seven thousand and Mary tried to find alternative cheaper premises but she became ill and died. From there I went to work for Sarah Anderson at the Travel Bookshop, a redoubtable woman who had started the shop twenty years before. It was also in Portobello and, alongside Elgin Books, was the other bookshop that inspired the film Notting Hill. We sold travel books alongside travel literature. It was a perfect High St, it had a butcher, a baker and a fishmonger, and I thought, ‘Every High St needs a bookshop,’ and ten years later that has been proved right. It has become a community meeting place. You hear people saying, ‘I’ll meet you in the bookshop,’ or they call on their phones and say, ‘I’m in the bookshop.’ Sometimes they leave their children in the book corner at the back of the shop, I set it up there so little children can’t sneak out the door without passing the counter. Thank you , we are proud to be independent booksellers in East London and love selling your wonderful books. 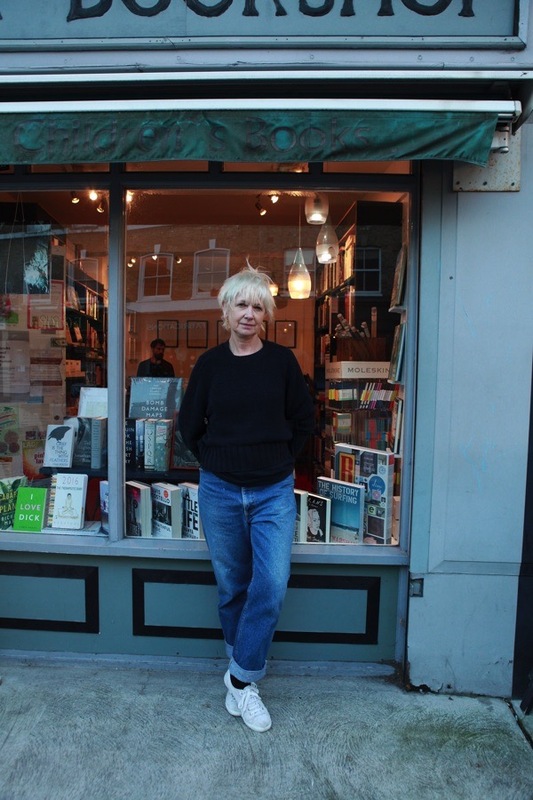 These book shops are rare and inspirational, but you have omitted a fourth vital independent shop run by a woman, Pages in Lower Clapton Road run by the brilliant Eleanor Lowenthal. If I could be there tonight (instead of being in Yorkshire) then I would be hammering on the doors and spending like crazy. I cannot tell you how happy I am that such a bookshop exists. And Broadway Market is wonderful – full of life and activity on a human scale. Long may it live! Looks like a fine place for books! So glad to see an independent survives! We had two in Bolton. Now all that remains is a waterstones. Presume the internet may hv been the reason. You cant beat mooching though and discovering books you never knew you wanted! I have an independent bookshop here in Colchester (Britain’s First City), and, if today is anything to go by, there is no lack of interest in secondhand books, far from it. It is good to know that there are other survivors like us and we wish them all well. How wonderful! No Kindles or coffee.I wish I had a local bookshop like that here in Pennsylvania. I haven’t looked at spitalfieldslife in a couple of years. Now I realize how much I missed it. Thanks. I almost always fall in through the doors of this place, before I patronise “The Dove” a few doors up. 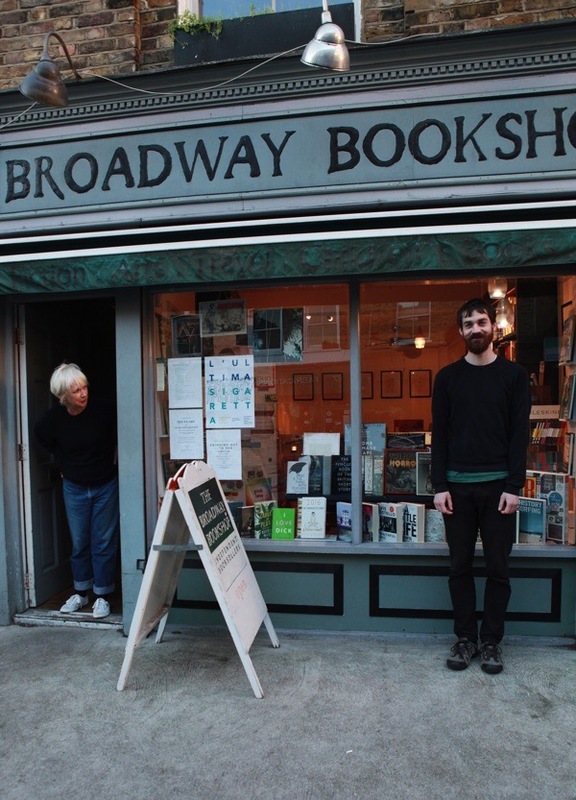 Congratulations to Broadway Bookshop on reaching 10 years. It’s such an asset to the neighbourhood and long may it last.